Hayward is a sprawling city in the San Francisco Bay Area that sits on the east side of the bay north of San Jose. It’s home to one of California’s first brewpubs, Buffalo Bill’s Brewery, as well as California State University’s East Bay campus. Ongoing developments throughout the city have revitalized the area, making it more appealing to people of all ages. One major project the city spearheaded was the Hayward Public Art Program, an initiative to combat graffiti by painting murals throughout the city. The project received a lot of praise, and residents love seeing the area decorated with beautiful murals. In addition to its up and coming restaurant scene, Hayward features several expansive parks for outdoor lovers to enjoy. Spend a day on the water or hiking at the Eden Landing Ecological Reserve, or go east to the city limits, where a number of regional parks offer hiking, golfing, and plenty of other outdoor activities. The city’s cost of living is six percent lower than the state’s average, so apartments in Hayward are a steal compared to nearby San Francisco apartments. Many people choose Hayward for its 45-minute commute time to San Francisco on public transportation – though it seems long, it’s shorter than driving and the lower cost of living makes up for it. If you’re trying to commute to San Jose, expect about a two-hour trip during rush hour. The city overall has a 30-minute average commute time, which is average in the Bay Area. Students comprise a good part of Hayward’s demographic as well. In addition to CSU East Bay, the city is home to Chabot Community College, Unitek College, and several other specialty schools. The city’s central location and proximity to schools in the Bay Area make it a favorite spot for students looking for apartments. When searching for Hayward apartments, you’ll notice the majority of them sit west of the Nimitz Freeway, and you’ll find every type of apartment in this region. If you need a pet-friendly place or somewhere that offers all bills paid, you’ll find it. If you want to stay close to Hayward’s downtown area, Upper B Street is a very walkable neighborhood with a lot to offer regarding retail and dining. 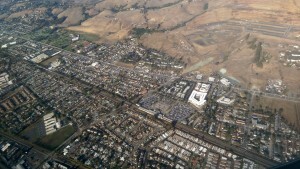 Longwood/Winton Grove and Santa Clara are two other communities close to downtown that really give you an urban feel. If you want a cheap apartment in this areas, though, expect to look at studio apartments. The cost of Hayward apartments really varies depending on what you’re looking for, whether it be utilities included or a luxury apartment complex. Use our guide to find apartments for rent in Hayward with all the best ratings and reviews! And, if you want to learn more about renting and what to look for, take a look at some of our popular Renter’s Resources to learn what questions to ask when viewing an apartment, how to sublet an apartment, and tips for first time renters. RentLingo is your trusted apartment finder in Hayward. We hire local experts, such as former property managers and locators to anonymously tour and consistently rate and review every available place. They share their honest and unbiased perspective with you, so you know how every rental ranks in the area. Because our experts tour every property, we can offer consistent apartment ratings across every region. So unlike finding a Backpage or Craigslist rental, you can trust these apartments are verified and trustworthy: whether it's a cheap studio or a one bedroom with all utilities paid all the way up to a nice house for rent or a luxury condo.